With every building, Architura’s Principal, Charles Kotterman designs emphasis on the construction budget. 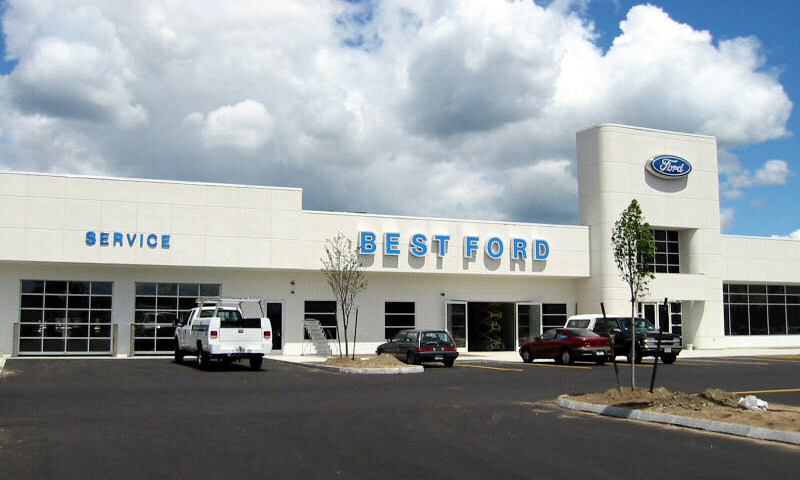 At Best Ford in Nashua, New Hampshire, the construction budget was critical, but the building had to have its own identity in order to entice customers into the showroom. In this automobile dealership design the commercial building architecture hosted a strong entry element easily identifying the way to reception and service on the front of the building for a better flow. 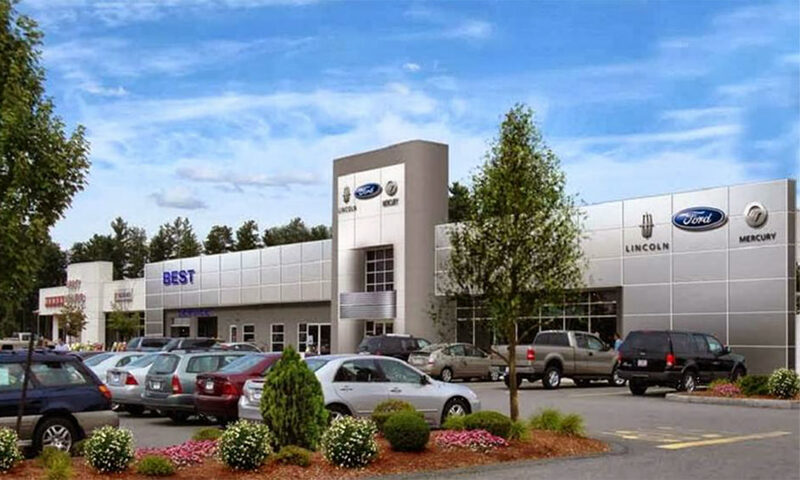 Charles Kotterman’s contemporary architectural design also prominently displayed the service area up front letting the customers know that servicing their car is Just as important as selling them one, as well as acknowledging that Best Ford stands behind their automobiles.